The name Celt originated with the ancient Greeks, who called the barbarian peoples of central Europe Keltoi. Rather that being a broad cultural genetic 'race,' the Celts were a broad cultural-linguistic group. The area where they lived became a constantly changing collection of tribal 'nations.' The Celts were never an 'empire' ruled by one government. The ancestors of the Celts were the people of the Urnfield culture, so-called because they buried their dead in cremation urns in flat ground. Between 1200 and 700 BC, they spread westward from their eastern European homeland into the area of modern Austria, Germany, Switzerland, and France. Here, there culture developed into a recognizably Celtic form. The earliest stage of Celtic culture is called the Hallstatt, after a village in the Austrian Salzkammergut where archeologists discovered important artifacts. At hallstatt and other places with the 'hall' (salt) name - Hallein, Helle, Schwabisch Hall - the Celts' wealth was based upon salt extraction and sale. The technology of iron, too, was embraced by innovative Celtic blacksmiths, who produced the best metal in Europe, that was in great demand outside Celtic Areas. An important two-way trade developed between the Celts and the Greeks, both in their homeland, and their colonies inwhat is now southern France. Partly as the result of wars, many Celtic tribes migrated from one region of Europe to another. From their homeland in central Europe, the Celts spread westward into modern France and the British Isles, southwest into Iberia, southward into northern Italy, and eastward through central Europe into the Balkans and Asia Minor. Ancient tribes now thought to be Celtic include the Helvetii, who lived in the area of modern Switzerland, the Boii in modern Italy, the Averni in modern France, the Scordisci in modern Serbia, and the Belgae, who inhabited northern Gaul and southern Britain in immediate pre-Roman times. However. After the first century BC, they were in retreat. Driven out of eastern Europe by Slavic tribes, they were vanquished in the west by superior Roman forces. First the Celts in northern Italy came under Roman rule. Then they were overwhelmed in the rest of Gaul (modern France), modern Switzerland, southern Germany, and Austria. Perhaps as the result of the Romans' pressure, many of the Belgae emigrated from what is now Belgium to southern Britain in the first century BC. 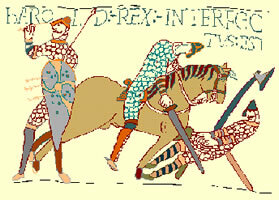 Then, during the first centruey AD, most of Britain fell to the Roman conquerors. In the third century AD, the Celts of southern Germany were overrun by the conferderation of Germanic tribes called the Alamanni. Since then, many centuries have passed, with further inroads into Celtic lands by invaders, yet Celtic culture has never been eliminated from Europe and will no doubt continue to thrive well into the next millennium. Today, Celtic culture is the living heritage of Ireland, Wales, Scotland, Cornwall, the Isle of Man, and Brittany. It has also left its mark on English and French custom and tradition.